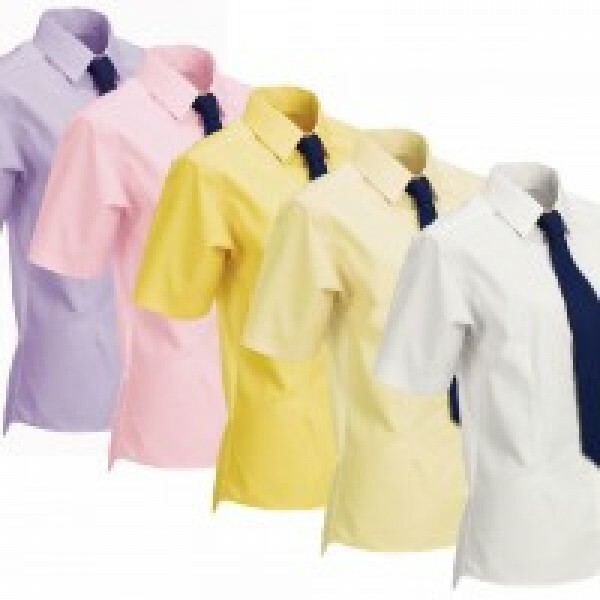 Show shirt, styled with front darts for a flattering outline. Made from soft stretch cotton, giving a closer outline without restriction. Concealed front button placket and petite collar the best finish. Features scopped back hem and short sleeves.